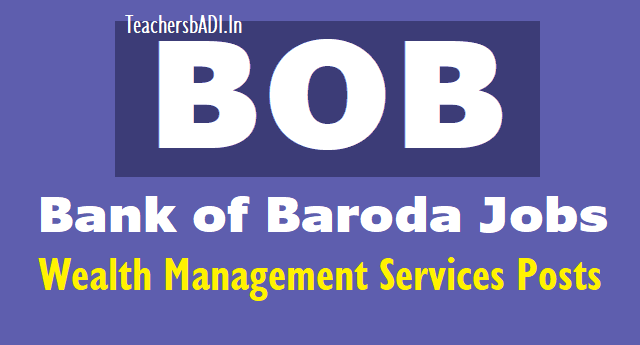 Bank of Baroda Jobs 2018: Wealth Management Services Posts on bankofbaroda.co.in: Bank of Baroda, BOB has released notification inviting applications for 424 Manager, SRM and Territory Head posts. The notification was released yesterday on the official website bankofbaroda.com/careers. Candidates interested in applying for positions of Senior Relationship Managers and other posts can fill the online application forms which are now available. Check details of the employment like eligibility, important dates here. Bank of Baroda, Mumbai invites applications for Wealth Management professionals in wealth management.